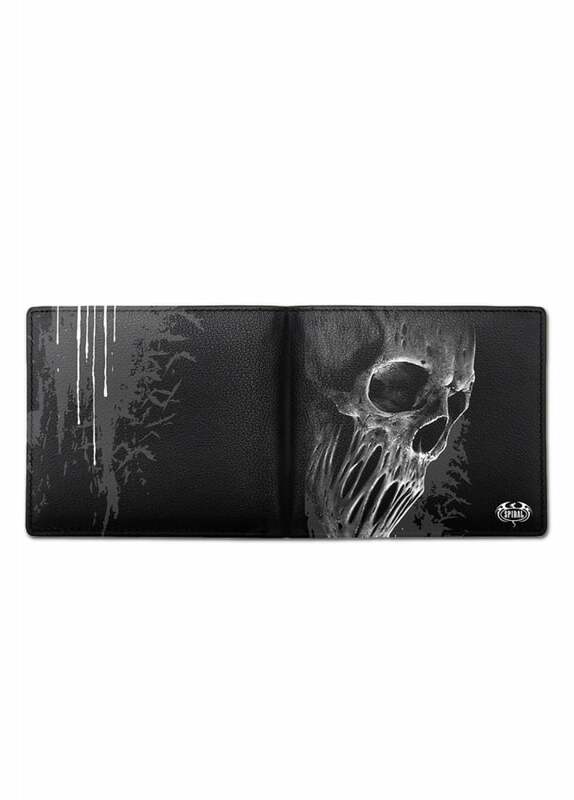 Spiral's Bat Curse Wallet is a bi-fold wallet with detailed, skull and silhouetted shape of swirling bats and splattered liquid design. The gothic wallet is made from soft feel polyurethane faux leather with 8 card slots, 2 note slots and a driving licence window compartment. This heavy metal wallet also features RFID Blocking to protect against identity theft and stop thieves from scanning your contactless payment cards and ID's.